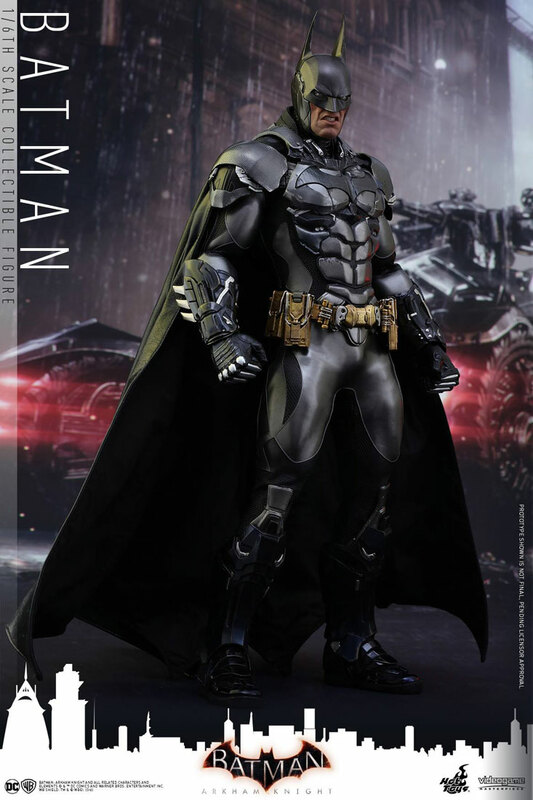 The sixth scale Batman Arkham Knight action figure coming from Hot Toys is loaded with accessories perfect for taking down Arkham’s criminal line-up. 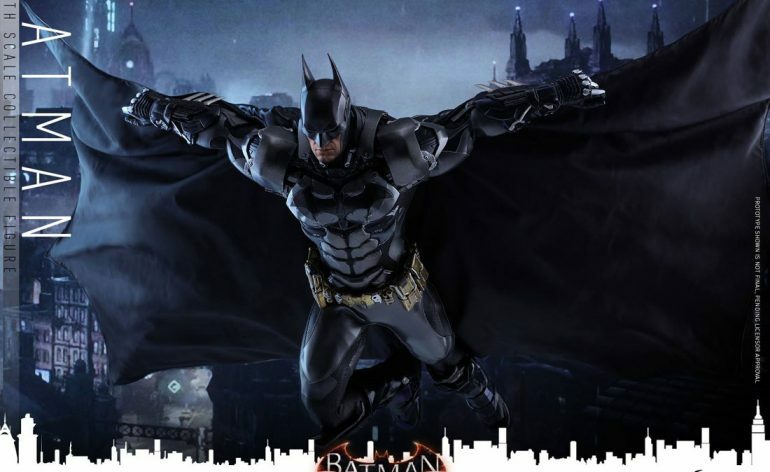 If you’ve never played the ‘Arkham’ game series from Rocksteady Studios (starting with 2009’s Arkham Asylum), you’re missing out. They’re well made, and a lot of fun to play. 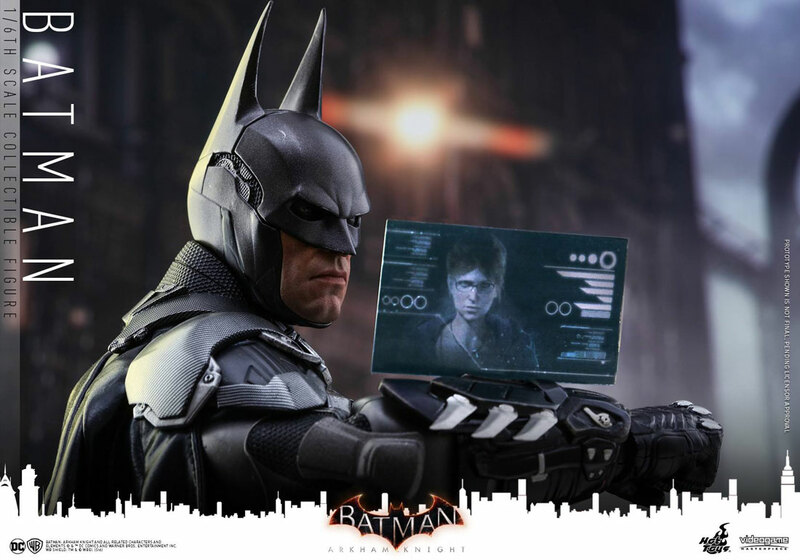 So it makes sense that Hot Toys would continue to mine the game franchise for new figures, with the latest being a sixth scale Batman figure from the Arkham Knight installation in the series. 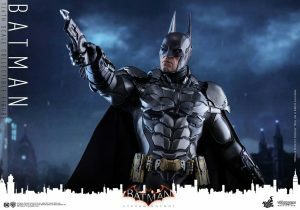 And in true Hot Toys fashion, this Batman is properly equipped to take down the baddies. 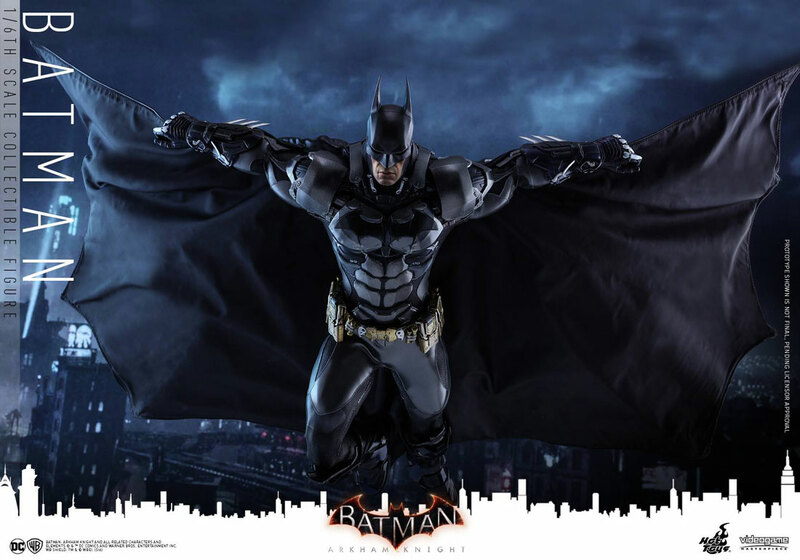 How Tall is the Figure? This figure will be 13 inches (33 cm) tall. 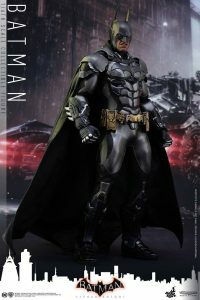 How Articulated is this Batman Figure? 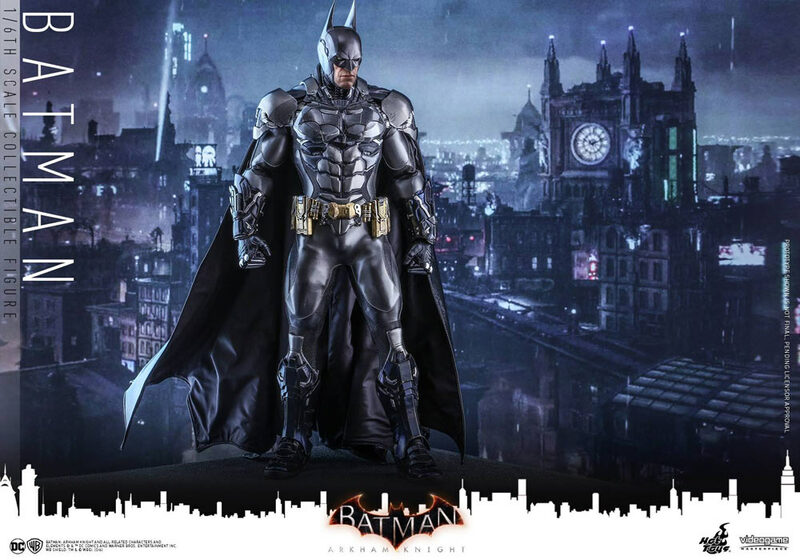 Hot Toys is saying the newly developed body sculpt will feature over 30 points of articulation, which should be enough to give you some pretty great posing opportunities. What Sort of Costuming Does the Figure Have? 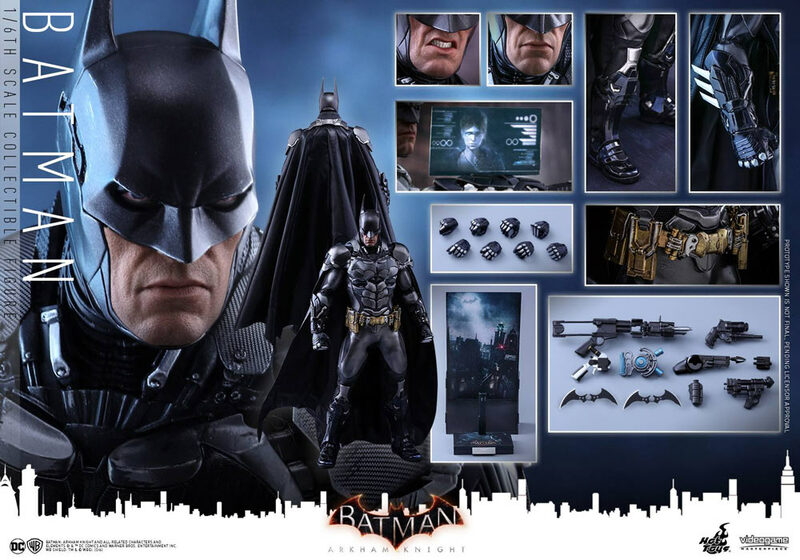 And What Accessories is Batman Coming Outfitted With? 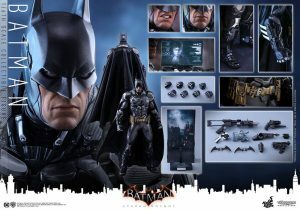 How Much Will This Batman Be, and Where Can He Be Pre-ordered? 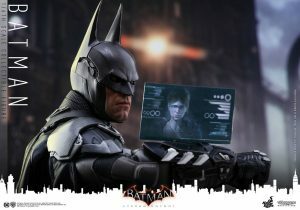 When Will this Batman Figure be Available? 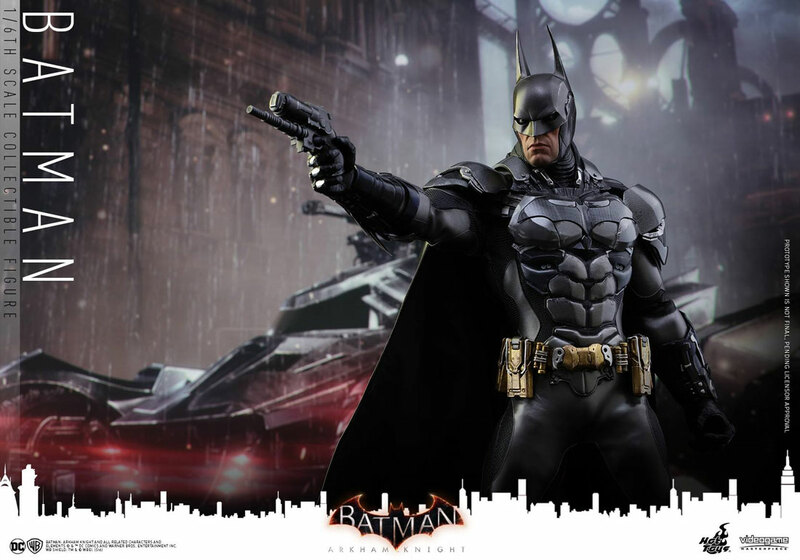 The figure is currently scheduled to ship at the end of the year, between October and December.